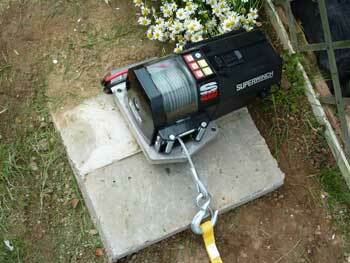 Every winch needs a power supply so that became the next project. This power supply had to contain a large battery, a charger and a master switch. 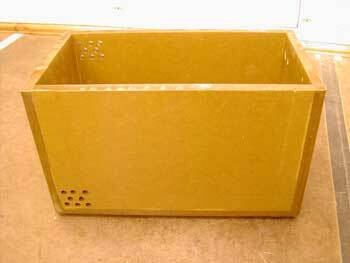 The box I made from MDF which was cut to size at my local B&Q merchant. Having glued this together I coated it in epoxy, inside and out, and reinforced the external edges with glassfibre tape. The holes are for cooling the charger should it be required. 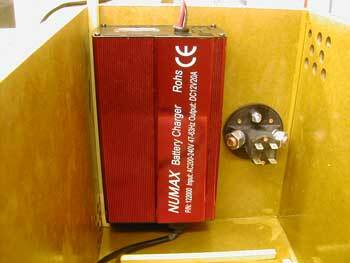 The charger, supplied by the Alternative Energy Store and the Master switch by Auto Rambo Tools are positioned at one end of the box. The Master switch has additional switching contacts so that the solar charger I want to use for keeping the battery topped up is disconnected when the winch is drawing current from the battery. Here is the finished assembly waiting for the lid and a coat of paint. 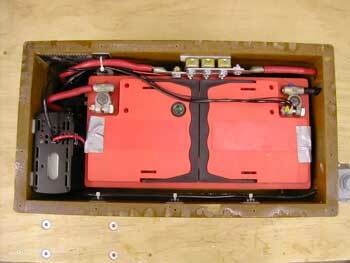 The wiring and ancillary components came from Auto Electric Supplies and Torberry. 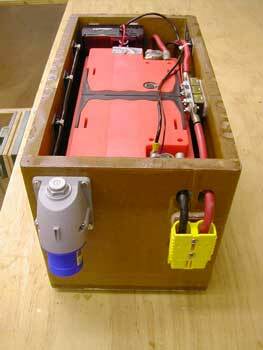 Since posting this months blog I've received a few comments about using MDF for this battery box. First off, this is not for the boat so don't panic. I chose MDF for a quick easy to work solution for a land based project. And finally the winch is installed and operational. 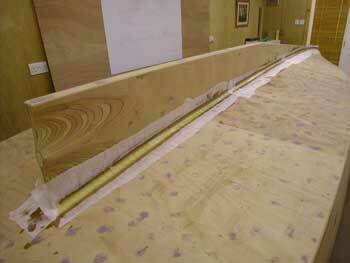 And amongst all this diversionary work I managed to fillet the keel to hull joint. Not as good a fillet as I would have liked. Too many voids and slump. The problem is caused by using a thin resin, ideal for wetting out glassfibre but hopeless for filleting, even with the maximum recommended amounts of Colloidal Silica and Microfibres. Lesson learned.